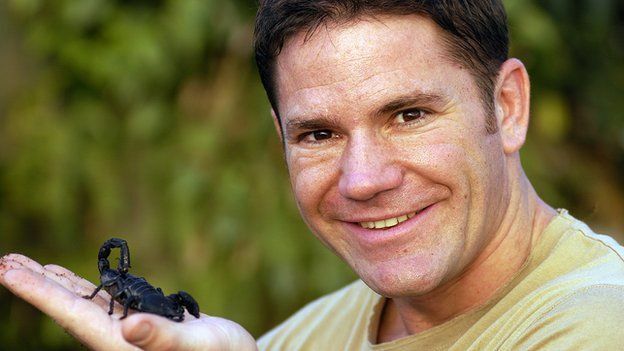 It’s 9am and wildlife expert, travel adventurer, TV presenter and author Steve Backshall is already on his second conference call, facing at least half a day fielding questions. But he’s in high spirits, despite only having returned the night before from an Alpine climbing break. 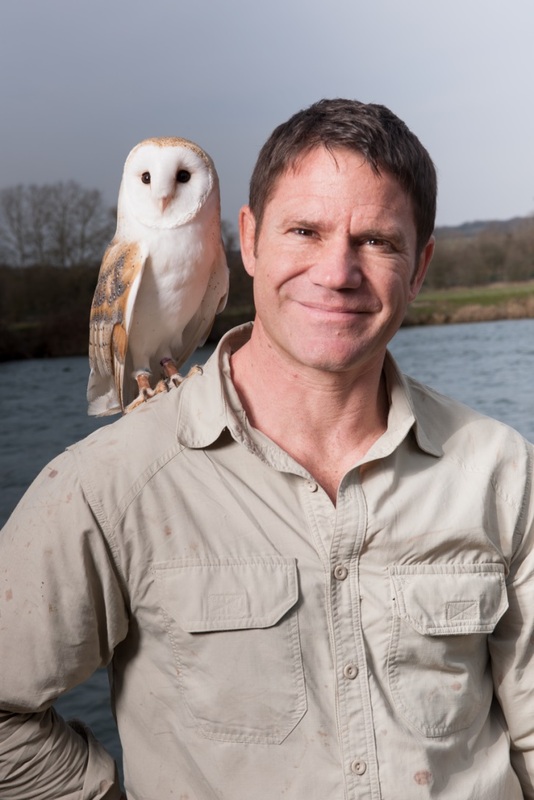 Steve is pretty much the face of wildlife on children’s TV these days, his Deadly 60, Live and Deadly and The Really Wild Show appearances a huge hit with viewers of all ages. He’s currently promoting his forthcoming Wild World tour, accompanying the paperback release of the third of his Falcon Chronicles fiction novels and the release of adult non-fiction book Mountain, My Life On The Rocks. And you can expect plenty of anecdotes about his adventures and expeditions too. Throughout his career Steve’s come face to face with some of the world’s most remarkable predators. From the Arctic to the Antarctic, from the top of the world’s highest peaks, and from the depths of the rainforest to the bottom of the sea, there is very little he hasn’t encountered. And when he’s not hanging off mountains or filming wildlife documentaries, Steve is proving himself to be a prolific author, with 13 already under his belt. His Falcon Chronicles series – so far consisting of Tiger Wars, Ghosts of the Forest and Wilds of the Wolf – is aimed at a young adult audience, following the quests of Saker and Sinter as they attempt to right some of the wrongs perpetrated against wildlife around the planet. Facing adventure and danger, their challenging adventures take them on wild and nail-biting journeys, bringing them face to face with the world’s most fascinating, majestic and lethal creatures. And it’s fair to say that’s something Steve knows plenty about. I start by putting to him that at least half of his interviewers today will imagine he’s sat on a jungle set while fielding questions, or at least precariously perched in a treehouse. On his tour dates, expect young and old alike to be transfixed by footage of Steve dangling beneath a helicopter into a crocodile’s nest, free-diving with great white sharks and under Antarctic icebergs with leopard seals, or catching the world’s most venomous creatures by hand. Then there are the tales of first ascents of vast jungle mountains, the discovery of new species and cave systems, and Steve’s on-going love for conservation. Let’s face it, he’s a busy man, so I go straight into my questions, asking which of the following holds the most fear for him – a night in a rainforest or a deep-sea dive, with deadly predators a few feet away; facing a large audience at Preston’s Avenham Park with the lovely Naomi Wilkinson for protection (as he was last time I saw him in person, back in 2011); facing Strictly Come Dancing judge Craig Revel Horwood and cutting comments on his cha cha cha (as he did last year, surviving with professional partner Ola Jordan until week nine); or the thought of a live date at Blackburn’s King George’s Hall this October (my excuse for calling him). “I find all of those frightening, but all of them equally rewarding in their own way. There are really exciting things to be garnered from all those experiences … although maybe not the Craig Revel Horwood bit! Are there any more celebrity appearances lined up? Only I’m guessing there would be outrage if he turned up on I’m A Celebrity Get Me Out of Here. Was he a big talker at school? Does the live performance come naturally for you? “I don’t know that it comes naturally. When I first started to do these kind of tours, I was very, very nervous, really scared and had what I guess you would call stage fright. “But everyone’s always so nice and kind, and the reception’s always really positive, so eventually you get this sense of warmth from the crowd, which sets you at your ease. “Now I actually quite enjoy it. 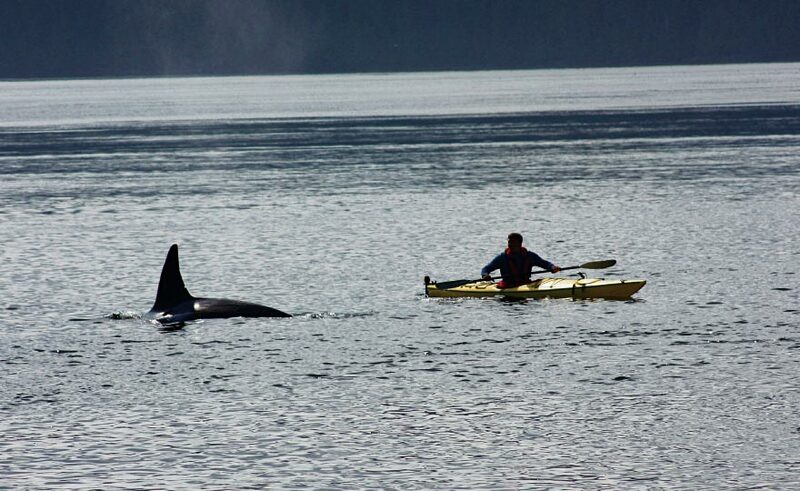 It’s very different from just being out with just a couple of crew in the wild doing what I do. Do you find your escapades and anecdotes from all your adventures bring out the wide-eye kid in viewers and spectators of all ages? “It genuinely does, you know. I’ve always been staggered at the ages of people who come along to talks like this. I don’t dumb it down and talk to kids. “I talk as if I’m talking to my peers, there’s a lot of proper science in these talks, and I’ve looked down in the end and there will be five and six-year-olds in the audience. “I think, ‘Seriously?’ When I was that age all I was thinking about was going out on my bike, whereas they’re listening to science, and understanding it. “But if they’re into this sort of stuff, they are old enough, and while they might not completely understand everything I’m talking about, just the pictures of crocodiles and sharks is kind of enough for them. Did you ever get the chance to see any of your own wildlife heroes as a young lad? “I don’t think so, it’s very difficult for me to talk about how people should get into doing what I do, because the route I had into it was so obscure, and it’s not something that can be replicated again. I guess I did make a job from nothing. What’s been your proudest media moment so far – the first TV commission, the publication of your first book, your Children’s TV Presenter and Best Factual series BAFTAs, your Blue Peter gold badge, or something else? “Crikey – that’s a really good question. I think the thing that stands out for me more than anything was the first ascent we did of a mountain called Upuigma in Venezuela. “Pretty much everything we discovered at the top was completely new, never seen by science before, and it was one of the most beautiful places I’ve ever been. With that kind of adventure in mind, and because of all the programmes we’ve seen you feature in, it seems hard to believe you’d be anything less than frustrated sat at a computer keyboard, writing books. Is that the case? “No, I get a lot out of that as well. Clearly it’s not the thing that really switches me on, but I enjoy writing and I do a lot of my writing while I’m away. With that in mind, a series like The Falcon Chronicles must be a nice way to keep that love of literature alive, and something you don’t always know where it’s going to take you. “That’s very true, and the amazing thing about doing something like The Falcon Chronicles is that when it’s going well, and I’m really feeling it, it’s like I’m watching a movie in my head and replaying that movie. Steve’s parents both worked for British Airways. Does it follow that he was well travelled as a child? “Unbelievably well travelled! They didn’t have a lot of money but they got all their travel for free, so they would take us off to the most extraordinarily remote and wonderful parts of the world. Once they got there, they didn’t have loads of cash though, so we did it properly. That makes sense. I can’t quite see you on a package holiday, gearing up for the welcome night and meeting the resort reps. When Steve says ‘we’, he’s including his sister, a couple years younger. 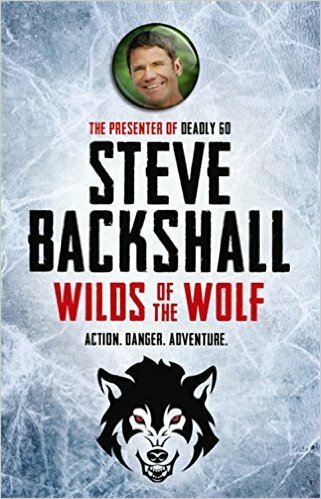 Did she take a similar route to him … if there is such a thing as a similar route to Steve Backshall’s. Did you have all you’ve achieved in mind when you were at school? Did you ever think this was something you could do for a living? “Oh my goodness, no! When I was at school, what I really wanted to do was work in an African nature reserve. That was my big goal. Steve’s route into television was certainly not a straight-forward one, but his big break came after a spell writing for the Rough Guide series in South-East Asia. Armed with an idea for a television series, he headed to Colombia, where he lived in the jungle, wrangled snakes and even ended up in jail (‘through no fault of my own’, he adds). As it turned out, a team at National Geographic Channel International were so impressed that they bought the resultant pilot video of his adventures, giving him an ‘adventurer in residence’ role, one that ultimately led to so much more producing, filming and presenting adventure and natural history programmes. From there, it’s been something of a rollercoaster, Steve circumnavigating the globe time and again, venturing into the Sinai desert, completing the Israeli paratroopers selection course, catching anacondas, vipers and cobras, making The Ten Great Dives of the World for the long-running series Earthpulse … the list goes on. That makes me wonder if his Rough Guide writing experience would ever have been enough for him. “Do you know, the Rough Guides would have been a super job for me, but you can’t make a living at it, and once I’d had this idea for a television programme, that was it. Steve was born and bred not far up the road from my old patch in Bagshot, Surrey. Is that right that his parents spent their leisure time running a smallholding for rescue animals? “Yes it was, but it wasn’t used in any sense commercially. We didn’t sell much more than a few eggs. It was mostly for our own benefit, looking after rescue animals. I was wondering if you led a life like the family in the Gerald Durrell books. Could you ever see yourself doing that kind of thing again, perhaps in your dotage? “Do you know what – I really could! 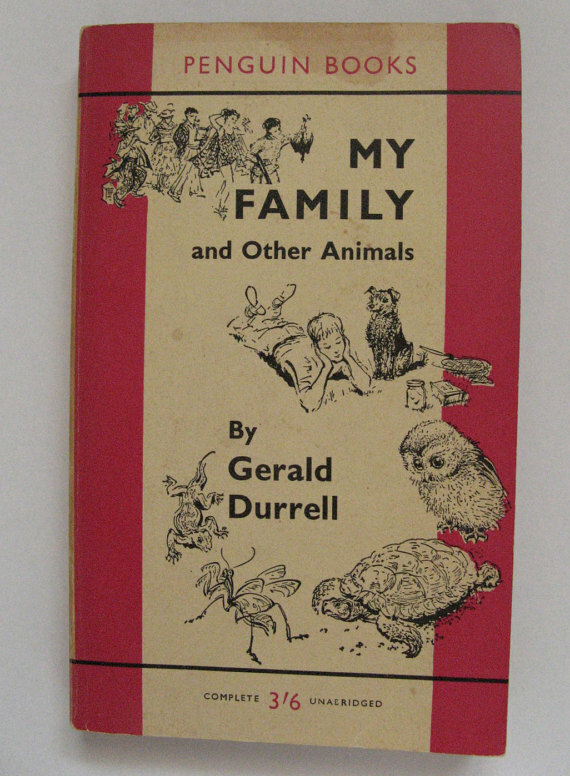 Gerald Durrell was my utter hero, and My Family and Other Animals is still one of my favourite books of all time. Have you a few pets of your own to come home to – when you are briefly at home – these days? “I don’t. Back in the days of The Really Wild Show I had a really good sideline in doing animal introductions and aversion therapy. I used to have a house full of animals, with spiders, scorpions, snakes and all sorts running around the house. To many, Steve is the face of CBBC’s Deadly 60 series, travelling the world learning about the most inspiring predators, finding himself squirted with ink by the Humboldt squid, flirted with by a tarantula, charged by elephants, stared out by thresher and great hammerhead sharks, all the time maintaining that wild animals pose no threat to people. In fact, quite the opposite. However, I confess to him that my youngest daughter, now 13, and I had a standing joke at our house while watching the show, reckoning that for all his bravado he was probably scared of kittens and puppies, playing out imagined scenes where this intrepid presenter cowers in fear at the sight of a fluffy Labrador or a mini-moggy chasing a ball of wool. He laughs at this, and I ask if there is an animal he particularly fears and need coaxing to go near. “No! The further I go in life the more fascination I have for the ‘icky’ things people have the most aversion to. To me there is nothing more fascination than ants, wasps and bees. It’s been 12 years since Steve’s switch to the BBC’s Natural History Unit, initially for The Really Wild Show. The following three years were awash with wildlife highlights, not least sharing a beach with 75,000 nesting olive ridley turtles, having a baby mountain gorilla take him by the hand, and a red-eyed tree frog leaping into his face. Just another day at the outdoor office, I guess. 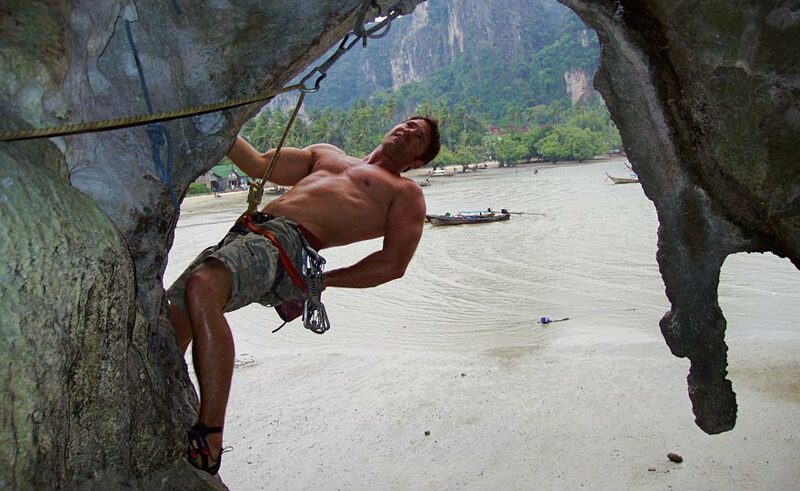 Next, he joined the unit’s fledgling expedition team, highlights including the first ascent of a jungle peak and dropping into a vast sinkhole in the Mulu mountains in Expedition Borneo, then – in Lost Land of the Jaguar – making that first ascent of Mount Upuigma, sleeping on the vertical cliff-face, finding various unknown species of animals at the summit, and becoming the first outsider to enter the volcano Mount Bosavi, his team discovering as many as 40 new species, including the largest rat in the world. He also abseiled to the bottom of the Kaiteur Falls in Guyana to a soaked wonderland below, and took part in a brutal caving expedition, opening up new passages in Mageni Cave in New Britain. Then there was Expedition Alaska, where he was almost swallowed by humpback whales and was swept into the guts of a glacier. Some of his adventures were closer to home, such as Wilderness St Kilda, Extreme Britain – Caves, Springwatch Trackers, his nature reports for The One Show, and The Venom Hunter, enduring the stings of hundreds of bullet ants, the most painful stinging invertebrate. Whatevs, as the kids would say. All in all he’s had some amazing adventures so far via the Beeb, the National Geographic Channel and Discovery Channel. So what’s next, expedition and achievement-wise? “Well, apart from this tour I’m coming to see you all on, I’m doing a live programme next month called Big Blue Live, being filmed in Monterey Bay, California. 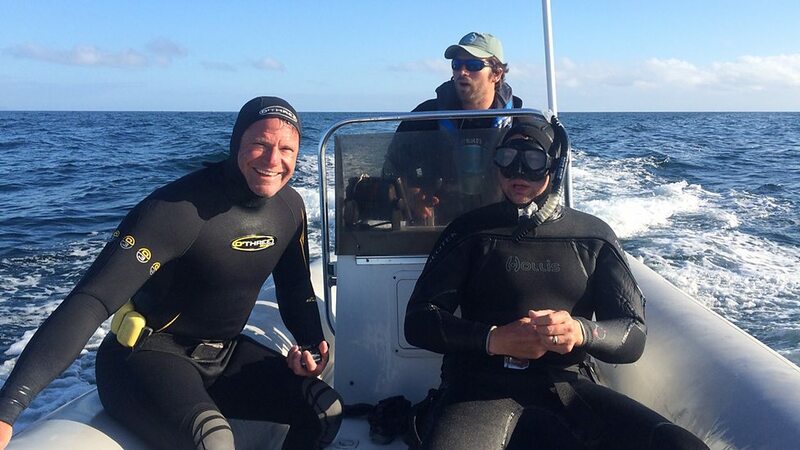 “We’re attempting to get whales and dolphins live on camera, obviously a massive challenge. If we succeed in that, it will be pretty big and pretty special! Aside from all his TV work, Steve helps publicise at least seven charitable and conservation organisations. He’s also completed many endurance events, his accolades including finishing in the top third of the field in the Marathon Des Sables and the top 10 of UK’s Tough Guy, coming fifth in the Welsh 1000m peaks marathon, and completing the Devizes to Westminster kayak race. His outdoor sports CV also includes having climbed the world’s sixth highest mountain (Cho Oyu, at 8,201m), and many other global ascents, plus numerous qualifications for kayaking, climbing, SCUBA diving and mountaineering. I was running out of time now, so didn’t get a chance to ask about much of that. The same went for his thoughts on trophy hunting, something very much in the news of late following the barbaric death of Cecil, the Zimbabwean lion. 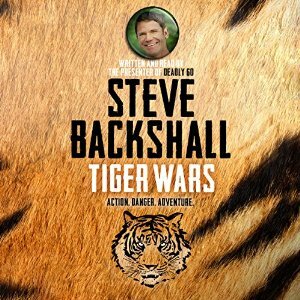 But his assistant later pointed me in the direction of Steve’s emotive and eloquent blog piece on the outrage, which can be found at http://www.huffingtonpost.co.uk/steve-backshall/. I’ve no doubt that back in his student days Steve couldn’t have dreamed of all he’s achieved so far. Then again, by the time of his gap year from university, still a teenager, he was already backpacking solo around Asia, India and Africa. 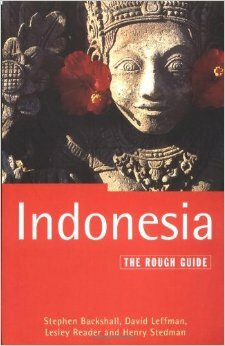 It was also around then that he got to work on the Rough Guide series in Indonesia, becoming conversant in the local language, drinking blood with uncontacted tribes, risking fatal crossfire in riots in East Timor, and coming nose to nose with Komodo Dragons. Going back to his English and theatre studies degree at Exeter, and later biology studies via the Open University, was he a good student, or just itching to get out there and travel? “It wasn’t that I was itching to get out there and see the world, but I was a terrible student at school because I went to a rubbish school. “It’s going to sound preposterously arrogant now, but I’m a very cerebral kind of person and if I’m not challenged I lose all interest. “When I went to college and university and had more stimuli I was a very good student. But at the same time I probably still tried to do too much. “I wanted to do absolutely everything, and that didn’t leave me enough study time. At this point, Steve’s assistant jumps in, telling me we’ve more or less run out of time, my subject butting in with a ‘What? I was enjoying that!’ before I slip in three final questions. Sometime before embarking on his media career, Steve studied martial arts in Japan, attaining his black belt along the way. Does he still keep his hand in? Not everything he embarked on led to success, and by his own admission his attempt to walk solo across Irian Jaya was ‘a woeful failure’. Is he ever likely to go back to New Guinea and face that challenge again? Finally, has he ever known an insurance company slam the phone down on him when they’ve learned his identity, after all those injuries and potential injuries over the years? Steve laughs, then goes into something of a jocular rant about that very subject, his voice getting pretty high-pitched by the end. This entry was posted in Adventure & Travel, Books Films, TV & Radio and tagged Bagshot, Chris Packham, David Attenborough, Deadly 60, Gerald Durrell, Live and Deadly, National Geographic Channel, Rough Guide, Simon King, Steve Backshall, Strictly Come Dancing, The Falcon Chronicles, The Really Wild Show, Upuigma. Bookmark the permalink.